I'm an ideal home especially for working professionals in CBD and Town, with the short commuting distance between home and office. You can even e-scoot to Suntec City within 10 mins! I'm well maintained in ready-to-move-in condition, without need for renovation. Short drive to Town and Central Business District via Nicoll Highway. 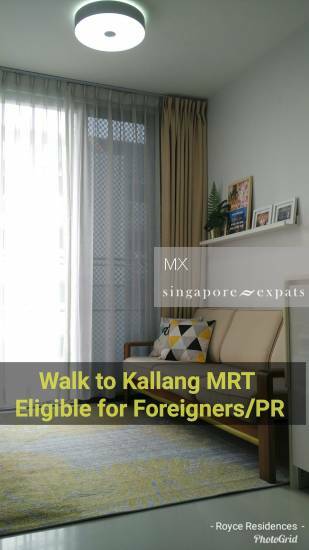 Accessible to PIE, KPE and ECP that links to any part of Singapore. Up to 75% home loan available for first home owners. Located in the same district as Centra Residence, Centra Studios, Guillemard Edge, Cosmo, Melosa, Rezi 35, Viento and Sixteen35. For viewing arrangement, Call/ SMS/ WhatsApp MX at 96224435.